D'you ever read the British glossies, packed full of sterling recommendations for star beauty therapists and think, "how come we don't have more of them, eh?" Well - we do, it's just that our pool is so much smaller that less of a buzz can grow up around the estheticians who are truly great with their hands. Elaine Butler-Doolin is very definitely en route to cult therapist status. She's also the beauty editor of Social and Personal and she teaches beauty therapy, so she's a rare beast in the industry - she's at the top of her game, knows exactly what's what product wise and that was what led her to use Academie products at her new solo venture, Bespoke Beauty. Elaine reckons the range is excellent quality at a good price and provides equally excellent results. I headed in to see her shortly after she opened Bespoke Beauty, and partook of a custom facial. At €100, you get a lot of bang for your buck: 70 minutes of it to be precise, and the treatment kicks off with a very special back massage. Visions of Basic Instinct were running through my mind as Elaine scooped some wax from a scented candle that was burning in her calm treatment room. Allowing it to cool slightly, she spread it across my back and shoulders and oh boy, it felt DELICIOUS. No ordinary wax, this was pretty much essential oils and she massaged it in beautifully. I lay on a heated pad and very nearly fell fast asleep during the process. The facial component was just as relaxing, measured and thorough. 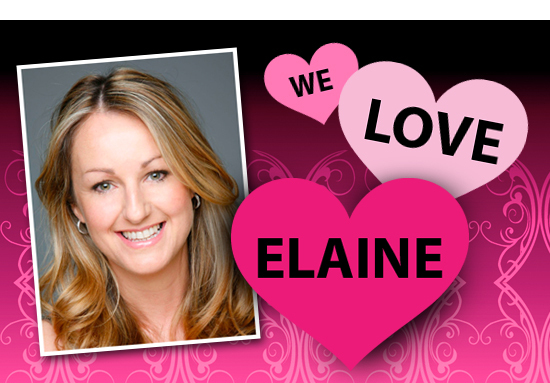 Elaine really knows her stuff and as an Eve Lom-trained therapist, her facial massage skills are second to none. My treatment addressed my skin issues: dehydration and fine lines, as well as that eternally guckky chin. So I got extractions AND massage, masques and exfoliators, treatments and moisturisers. It was nothing short of divine. Post-facial, skin was smooth, hydrated and plump, and stayed that way for a good week. Gorgeous. I can't think of anyone who wouldn't find Elaine a joy to visit - she's just a lovely person and incredibly good at what she does, which is not, by the way, just facials. J Sister-trained, she's an expert waxer too, plus a superb masseuse and tanner. So, have I convinced you? If not, this might: the 15th one of you guys to head into Bespoke Beauty for a treatment and who mentions Beaut.ie, will bag themselves a hamper of Academie products worth €200. Yup! So make those appointments now, eh?